Phil has worked supporting the use of learning technology at Universities since 1994, and worked with Cetis in some facility since 2002. During this time he has been responsible for delivering support to JISC funded projects in areas such as metadata, resource description, resource management and open educational resources (OERs). He has worked on a number of technical specification and standardization initiatives, most recently through the technical working group of the Learning Resource Metadata Initiative (LRMI). Simon has been involved with Cetis since 2002, initially through the Centre for Recording Achievement, in the area of learner-focused technology and interoperability. His book book on Electronic Portfolios is openly available on his own site. European work on Learning Mobility Achievement Information resulted in co-authoring EN 15981, “EuroLMAI”, which relates to the UK HEAR, and prefigures better records of learner skills and competences. He then contributed internationally and led European work on standardizing the interoperable representation of skills and competence structures – the InLOC project. He has a particular interests in consensus management and the development of collaboration skills, and is centrally involved in the running of Cetis LLP. Paul joined Cetis in 2003, with responsibility for Cetis operations and management. Currently Paul is also Vice Chair of the Hull College Group. Paul’s research interests and publications include the politics of technology standards development and the application of digital games and immersive environments in teaching and learning. Previously Paul was Head of Business Development for BTL, an educational content and e-assessment provider, and has also been a director of an international digital Games publisher. Bill Olivier was the co-founder of Cetis and co-director for seven years, and has over 25 years experience developing innovative software for education. He is a former Director for Systems and Technology in the Innovation Group at Jisc which funded a large ICT R&D programme for UK further and higher education. In that capacity, he directed the eResearch programme, ran the Jisc side of the International e-Framework Programme, developed the Jisc Enterprise Architecture Programme and the Jisc Observatory. Alan Paull has been an information manager supporting UK higher education organisations for over 30 years. He specialises in process improvement, standards development and classification systems in relation to information about courses. He contributed to the development and adoption of various information standards, including the HEAR and eXchanging Course Related Information (XCRI), and was part of the team that developed the new Higher Education Classification of Subjects (HECoS). Kris has worked in educational technology since 1993. His experience in developing software for education (at all levels) is extensive. He has programmed in a variety of languages since starting working in the field. Kris also has a deep understanding of the issues in using and supporting new technologies in learning. He worked on a number of early internet technology adoption projects such as Schools Online and Notschool in the mid to late 90s; mobile learning projects since the year 2000 and with the Cetis team since 2008. Recently he has been centrally involved in the development of core store technologies based upon W3C widgets and LTI tools; a series of mobile applications for both IOS and Android and a REST API for a DaaS (Database as a Service) system. David Sherlock joined Cetis in 2007 after completing his MSc in Systems Development. He is responsible for the development and maintenance of Cetis’s web presence as well as aspects of communication policy. Recently David has designed and developed more specialised software for a number of projects, including the addition of linked data capabilities to the Cetis project directory (http://prod.cetis.ac.uk), widgets for the Wookie educational widget server (http://getwookie.org/). David was also involved in developing a validator and renderer for the eXchanging Course Related Information (XCRI) specification. He is currently also working on his part-time PhD on agent based networks. Scott Wilson has over 20 years experience in the IT sector, working in areas such as architecture, integration, and business intelligence. His recent work includes research data virtualisation, enterprise architecture, and student systems integration. Scott has been involved in developing and promoting the adoption of standards and specifications for enterprise data management, achievement records (HEAR), course information (XCRI, BS 8581, EN 15982) and portable web applications. Scott is also a Vice President of the Apache Software Foundation and is actively engaged with open source software. Simon Whittemore has over 25 years’ experience in helping organisations achieve strategic innovation and change through technology-enabled business improvement programmes. This includes 13 years with national agencies in higher education policy, strategy and digital technology and 12 years in eLearning, management consultancy and IT for the private sector, internationally. Simon advises on skills, employability, university-business collaboration and procurement decisions, and he provides business development consultancy and content editing for Italy’s leading eLearning company. His research interests include innovative learning methods, knowledge collaboration in education & training, and competency frameworks. Formerly Head of Change – Enterprise at Jisc, Deputy Head of Business and Community Policy at HEFCE, and Senior Consultant at Capgemini HQ in Paris, Simon has led the development and delivery of large-scale programmes to help institutions innovate. He has taught in both HE and FE, and is a linguist, fluent in Italian and French. Li joined CETIS in 2008, after gaining her PhD in ICT in Education and working as a research fellow in the school of Education at Queen’s University of Belfast. As a Learning Technology Advisor, Li has been involved in supporting the UK OER programme, Jisc observatory project and the EU funded TEL-Map project. Her main areas of interest are around investigating and understanding emerging technology and innovative practice in education and their impact on the future of higher education. Lorna joined Cetis in 2002 as Educational Content SIG Coordinator. Her areas of expertise include project management, digital infrastructure for OER, open education policy, technologies for managing and distributing educational content, metadata, vocabularies, etextbooks and repositories. She has coordinated technical support for many Jisc development programmes including Exchange for Learning, Digital Repositories and Preservation, UK OER and OER Rapid Innovation. Lorna has also represented UK F/HE on a number of standards bodies including the BSI, IMS Global, the Dublin Core Metadata Initiative and CEN / ISSS Learning Technologies Workshop. Wilbert Kraan joined Cetis in 2002 as the Cetis Journalist. From there, he entered specification development work, starting with IMS where he became the chair of the Content Packaging 1.2 group. That specification is now an ISO standard. Wilbert has also worked on software architectures, first in an international partnership. Later, he moved into Enterprise Architecture modelling, and was instrumental in introducing the ArchiMate Modelling language to the UK higher education sector. More recently, Wilbert has championed the IMS Question and Test Interoperability 2.1 specification. Wilbert has also worked in a number of data integration projects and specifications. Dai Griffiths was a professor at the Institute for Educational Cybernetics (IEC), which was previously the home of Cetis. In this role he published extensively on the design of learning activities, and their representation with interoperability specifications. He led the contribution of the IEC to the TENCompetence, iTEC and Omelette projects, which had had a strong focus on the provision of flexible services to teachers and learners. This led him to investigate the potential of Learning Analytics, and to take a leading role in the LACE project. He has been involved in current Cetis work on the Jisc Effective Learning Analytics, is engaged in XAPI, and is a contributor and frequent reviewer for the LAK conference and the Journal of Learning Analytics. He is currently Professor of Education at the University of Bolton. Brian joined Cetis in 2013 as an Innovation Advocate. Brian previously worked at UKOLN as UK Web Focus from 1996-2013. Brian has worked across the UK higher education sector, having previously worked in IT service departments at the universities of Loughborough, Liverpool, Leeds and Newcastle. Brian has embraced use of the social web to support his open practices which includes his UK Web Focus blog and his @briankelly Twitter account. As well as being a prolific blogger Brian has also published peer-reviewed papers in areas including web accessibility, standards, digital preservation, institutional repositories and open practises. Brian is now the co-chair of the annual Institutional Web Management Workshop (IWMW). Stephen Powell has worked as an educator for the past 20 years, initially as a teacher in the compulsory school sector, and then in Higher Education as an innovator of online courses and as an academic developer. He specialises in curriculum design and delivery and the organisation of teaching and assessment, having extensive experience developing work-based approaches to learning. He has co-authored several Cetis publications including MOOCs and Open Education: Implications for Higher Education, and Institutional Readiness for Analytics. Tore Hoel has worked together with Cetis members in European projects and standardisation activities in the field of learning technologies for more than a decade. He is affiliated with Oslo Metropolitan University in Norway where he has recently been doing research in learning analytics, in particular on privacy and ethics related to sharing of student data. He has had leadership roles in European standardisation (CEN Workshop on Learning Technologies), and has been a Norwegian expert in ISO/IEC JTC1/SC36, where he has be editor for a new standard on privacy and data protection requirements. 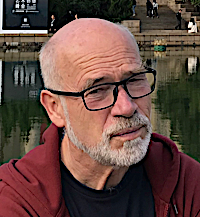 Tore has been a visiting scholar to Chinese universities and has an interest in development and application of learning technologies in multi-cultural settings.